Timothy Artman/TeslaA Tesla Model 3. Investors and analysts feared Tesla‘s Model 3 would cannibalise sales of the Model S and Model X. But Tesla’s fourth-quarter earnings report said the company delivered a record combined 28,425 Model S and Model X vehicles during the fourth quarter. The report also indicated that Tesla stores that had the Model 3 on display increased foot traffic and, ultimately, sales for the Model S and Model X. One of Tesla investors’ biggest fears about the Model 3, the company’s first mass-market electric car, was that it would cannibalise sales of the Model S and Model X. But Tesla’s fourth-quarter earnings report indicated that fear did not become a reality. The report said Tesla delivered a combined 28,425 Model S and Model X vehicles during the fourth quarter of 2017, 10% more than the company’s previous record, which was set in the third quarter of 2017. The company also said that combined orders for the two vehicles almost reached the record they set during the third quarter. 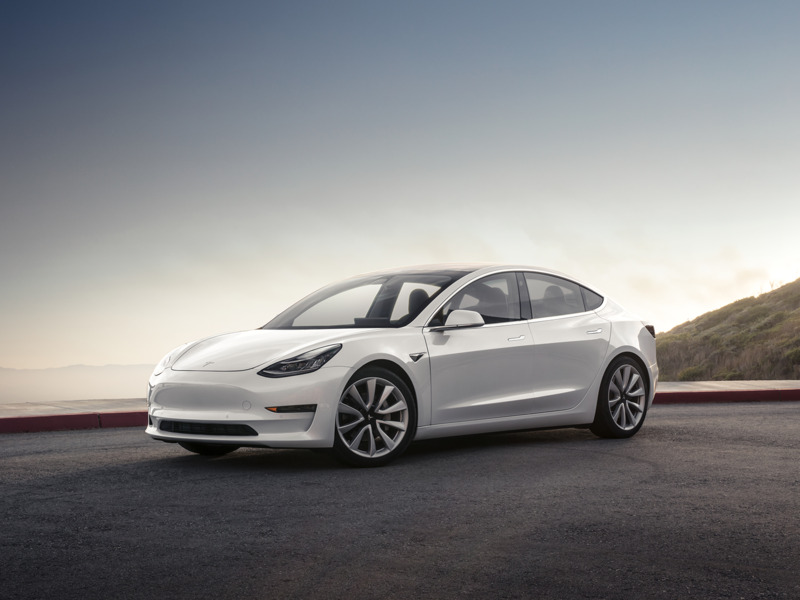 Some analysts and investors believed the Model 3 would drive Tesla customers away from the pricier Model S and Model X, but Tesla believes the Model 3 may have actually increased sales for the higher-end vehicles. “In stores where Model 3 is on display, customer foot traffic has increased considerably and orders for Model S and Model X have in fact increased,” the report said. A Model 3 starts at $US35,000, which is less than half of the $US74,500 starting price for a Model S and the $US79,500 starting price for a Model X. While responses to the Model 3 have been generally positive so far, Tesla has experienced significant production delays with the vehicle and has over 400,000 pre-orders to fulfil. The company said it is on track to deliver 2,500 vehicles by the end of the first quarter, and 5,000 by the end of Q2. The company reported $US3.29 billion in revenue but had a net loss of $US3.04 adjusted per share.